A unique ethnic wardrobe is incomplete without a resplendent Lehenga or lehengas that speak volumes about your personal style and panache. For Desi Divas who don’t feel oh-so-comfy in the dainty drapes of a beautiful Saree, a Lehenga comes forth as the knight in sequined or printed or embroidered armour! Whether it is a Sangeet or a Shaadi, a beautiful Lehenga will make you stand out in the style spotlight like no other ethnic outfit ever will. Hence, we at Craftsvilla like to think of Lehengas as the undisputed, crowned Queens of any coveted ethnic closet. The evolution of a Lehenga has been quite phenomenal over the past years, many thanks to our very own Bollywood’s obsession with this outfit! A chic Lehenga Choli has now gone on to become a global phenomenon. Such is the popularity of this ensemble that every Indian bride longs to get through the big fat Indian Wedding in Lehengas straight out of their childhood dreams. And that’s where we come in- to make those dreams a reality. 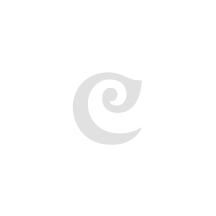 Craftsvilla understands the essence of donning perfect Lehenga- bridal or not. As a result we are constantly striving to stock up on Lehengas and designer blouses online that come in a variety of shapes, styles, sizes and of course the ever evolving trends! Since time immemorial, a traditional Lehenga Choli has always been an integral part of the auspicious Bridal trousseau. Now, this outfit has evolved taking various stylish forms and becoming a major part of a woman’s wedding wardrobe; be it a Bride or her bridesmaids and besties! The skirt part of the Lehenga derived its form from ‘Antariya’ The Antariya can be explained as a garment stitched on one side in such a manner that it can be gathered around the waist with a girdle or drawstring and then paired with either a blouse, jacket of the quintessential matching Choli. Then came the Dupatta to make the Lehenga shine in style! It was the Mughal era that truly proved to be a boon to the evolution of a Lehenga Choli outfit. This ensemble became a Royal staple, donned by Queens, Princesses and Artisans alike, adorned by the classic Jewellery like Mughal Paasa. Even in certain Southern parts of India, this outfit was popularly donned as ‘Pattu Pavadam’ and was traditionally worn by girls before they hit puberty. The Pavadam (skirt) was made in a way that could prove freedom of movement and let the little girls have fun and frolic to their hearts content. Keeping in mind the rich traditions of the Lehenga, we’ve carefully curated our collections in such a way that it adheres not just to the trend loving minds but tradition loving hearts too! Our each and every Lehenga collection is rooted in tradition only to grow in trend. Plus the varieties are abundant and racks always full- so ladies, shop these trendy traditional outfits till you drop! The world of ethnic fashion is constantly evolving, thanks to the constant of stream trends that keep getting ushered in every single day. With the ever rising popularity of Lehengas; be it a festival or a wedding function, it is of umpteen importances to have a plethora of Lehenga kinds that cater to the upcoming trends and styles. Hence, we at Craftsvilla take pride in sharing the fact that we update our Lehenga collection online every single day with trend loving styles and patterns. Is your heart set on Lehengas teeming with traditional Brocade, Zari or Sequin work? Well listen to your heart and check out our collection of such traditionally embroidered Lehengas! Every Lehenga loving woman knows the importance of the cut of any outfit. Keeping in mind this very notion, our range of A-line, Straight cut, Fish-tail and Flared Lehengas is waiting to get explored. We’ve the perfect, latest Lehenga designs for everyone! Your wardrobe needs a splash of colour? Well, our lehengas online come in every colour you can dream of- from pastels to dusky hues, red bridal Lehengas and many more such styles. Love your comfort zone a bit too much? Well check out our cool Cotton & Crepe Lehengas coupled with dazzling designer blouses that can also be matched with your favourite Sarees too! How to Pick A Lehenga That Loves Your Shape & Size! Though donning a Lehenga comes naturally to many women, picking the right one that makes you look gorgeous can be quite a task. 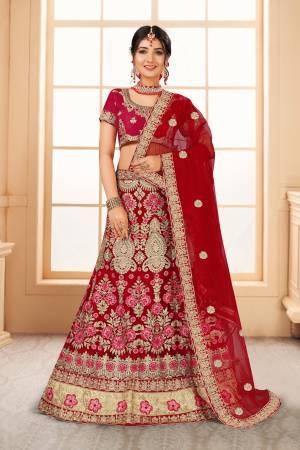 Hence it is always easier to keep in mind simple pointers that will make you look your best in dreamy Lehengas. If you are blessed with an Apple shaped body, choose a Lehenga with a dashing jacket style Choli that hides those extra inches on your bust; stomach areas. Have a curvy waist and well-rounded hips? Your perfect Lehenga mates are gorgeous Fishtail hemmed and charming fitted skirt ones which are bathed in bright colours, heavy borders and small motifs. These Lehengas will ensure you look breathtaking no matter what the occasion! Have an athletic figure? Define your toned waistline and lean upper body with subtle precision by strutting in a co-ordinate Lehenga set! With the technology advancing at breakneck speed and womens clothing rapidly changing trends, shopping for Lehengas has become easier than ever and we at Craftsvilla aim to keep up with the trends by updating our collections with the latest styles every single day. Our latest Lehengas and their designs are not just stunning but also available at amazing, affordable prices, literally just a click away! We stand for the phrase- value for money and will always aim to create a wonderful, fulfilling shopping experience online. Shop with us and refresh your Lehenga closet every single day. Head to our website to get in on the latest ethnic trends or download our smartphone app to avail best prices and never-seen-before styles for timeless Lehengas that weave stories of style, no matter what the occasion demands.